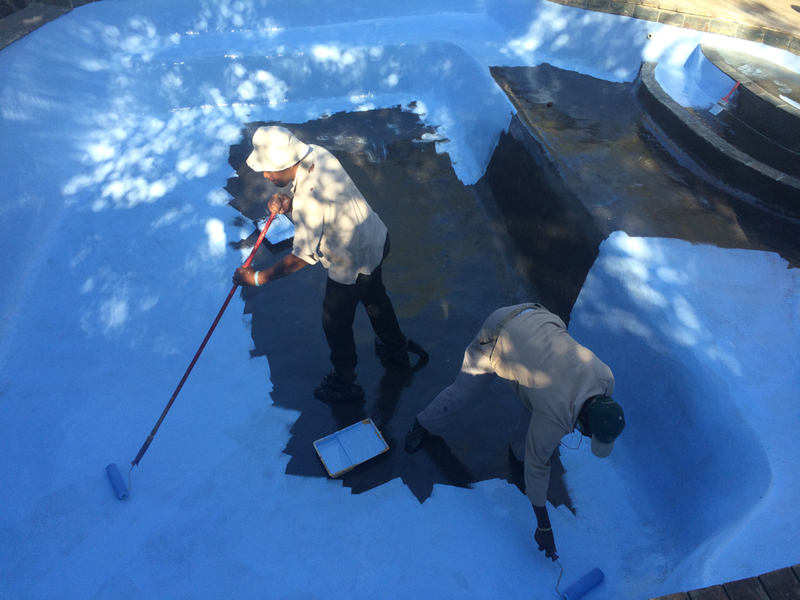 FINAL NEWSLETTER OF 2015 ! 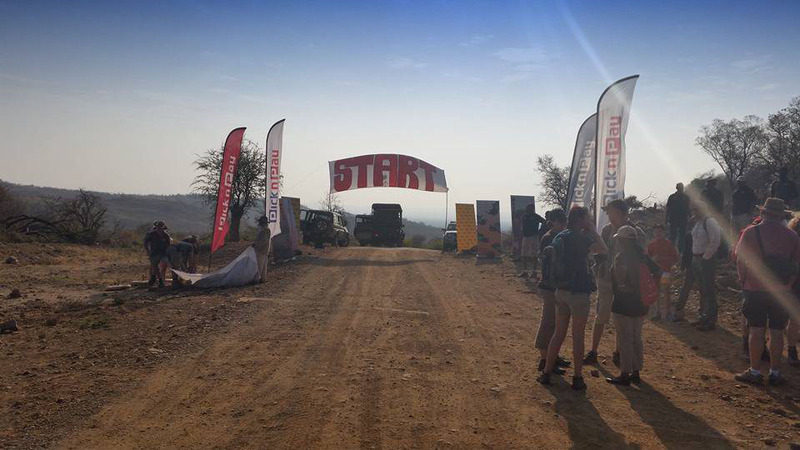 A very warm and fuzzy welcome to all of our fans…..
Well, it has been a year of amazing sightings, tough climatic conditions and exciting happenings….. 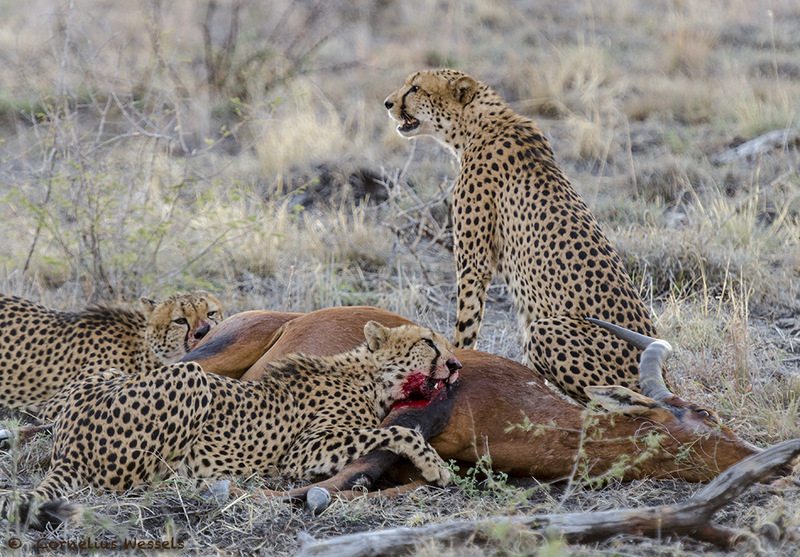 The four cheetah brothers gave us some awesome sightings this year, and these were some of them…. After stalking and resting and some more stalking they went for it. Unbelievable how quick these cats are. 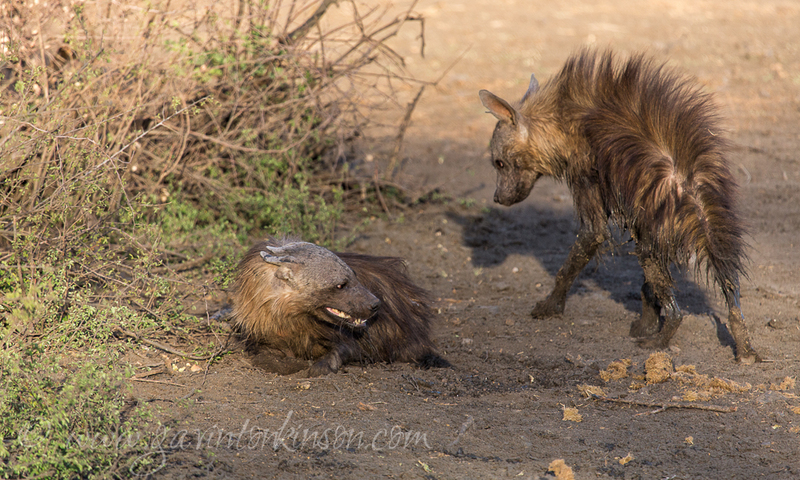 Not long after the kill, someone saw a Spotted Hyena running towards the action. 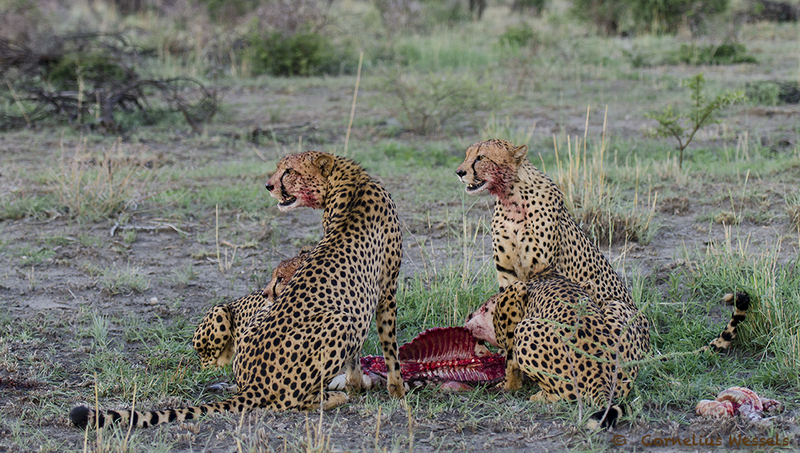 The Cheetahs had no intention of giving up their food and made it very clear when the hyena came closer. The Hyena was waiting patiently and only when the cheetahs all had enough to eat did the hyena take the rest without a fight. 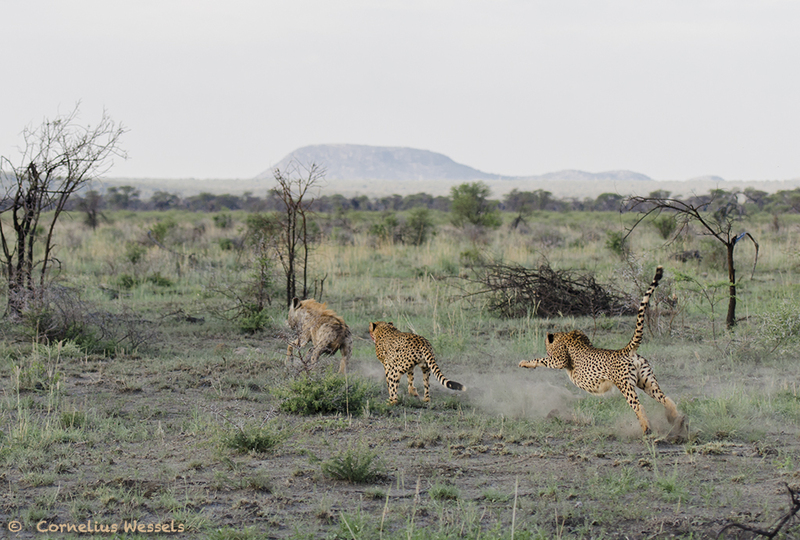 ” Late one afternoon the four male cheetahs were found around the middle of Madikwe. As I was close enough I got a spot to join the sighting and the middle of the action. The one male walked past us as we drove in and the other 3 was looking at some Red hartebeest in the distance. We knew the one that left was setting up the ambush. Now we just had to wait. 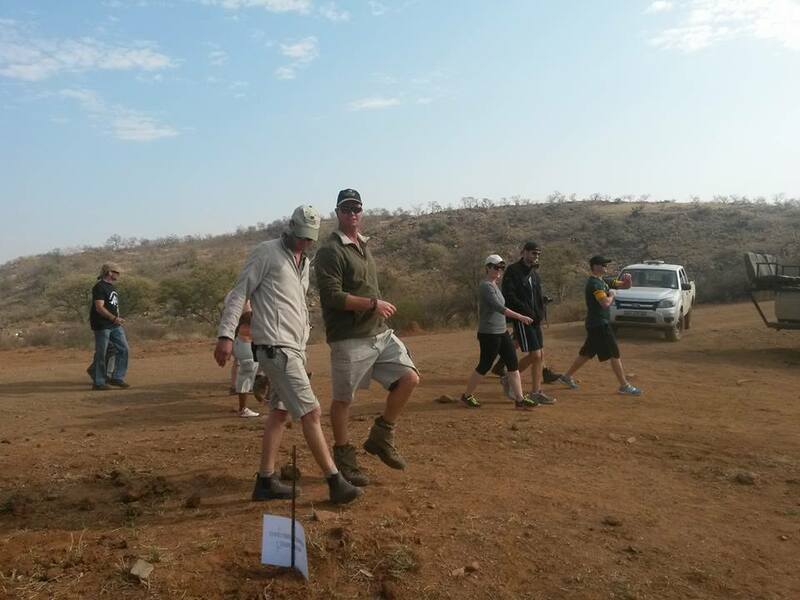 After a short while we saw dust where the hartebeest were and the cheetahs were gone. 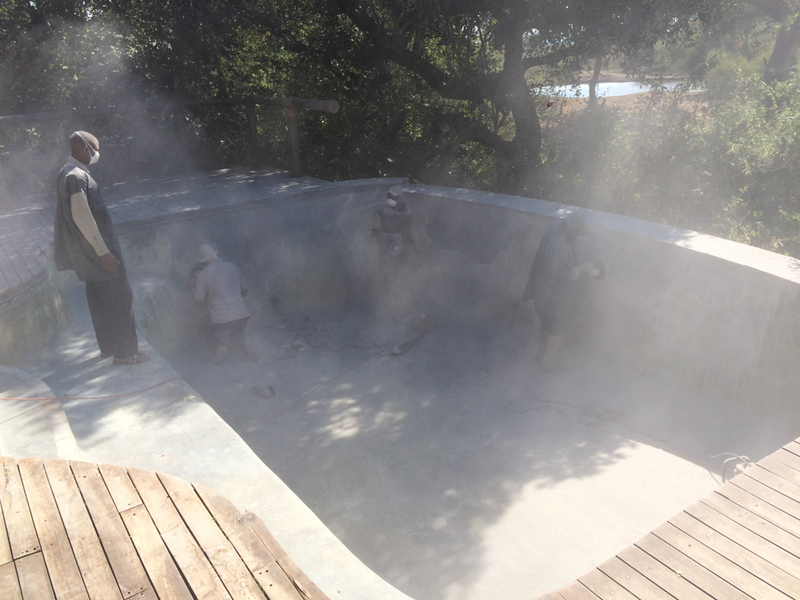 We tried to keep up with them, but man they quick. 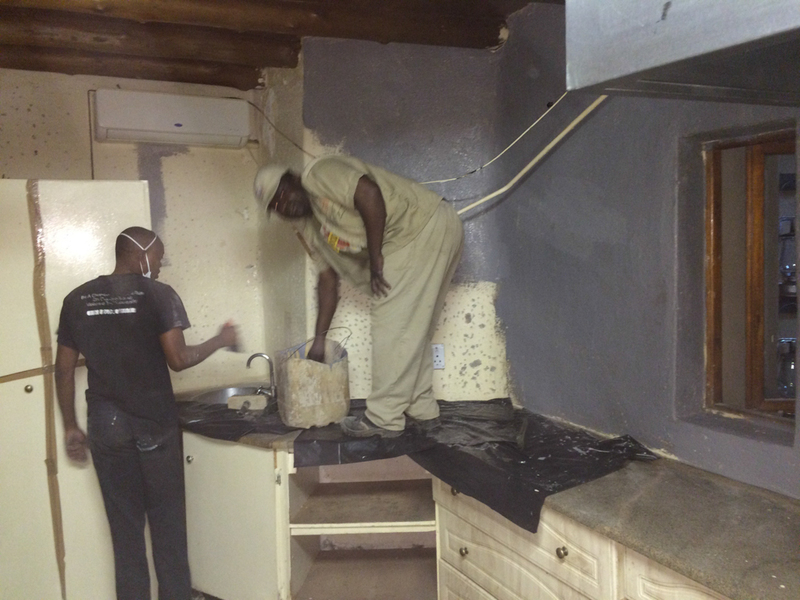 We caught up with them and we had no words. 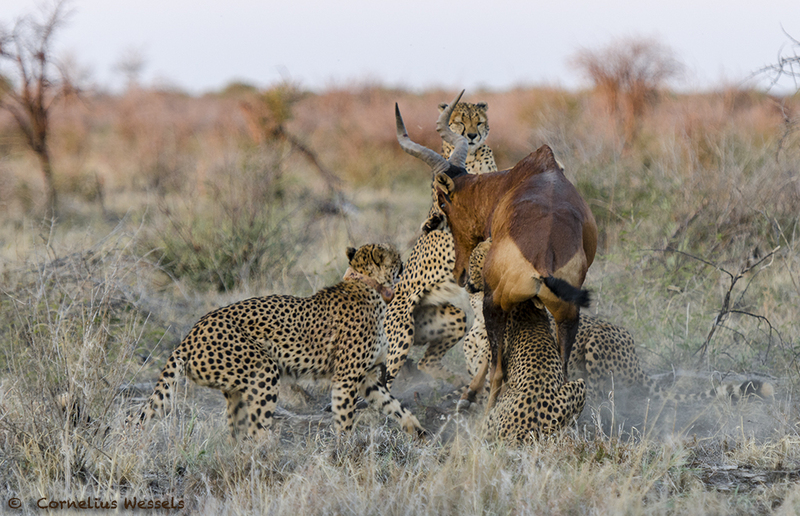 All four cheetahs were hanging from a fully grown male Red hartebeest. It took them a while to get it down and kill it, but in the end they won. 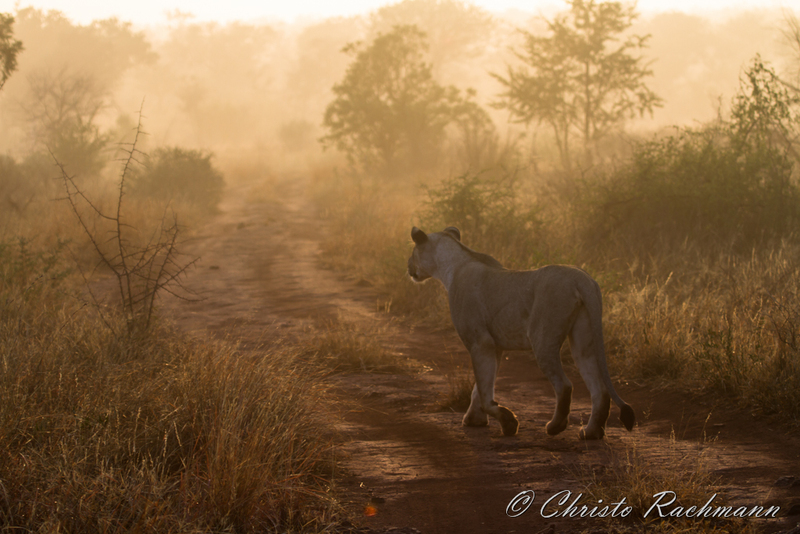 Our local pride of lions have also had their fair share of ups and downs this year, as the new Kwandwe males started making their presence felt, defeating the Naledi coalition, and taking over the territory and even siring the next batch of future kings of Madikwe…..
1) The other brilliant sighting happened one morning in the mist when we found the Mica, Jamala and 2 young Matlapa lionesses lounging around. We sat with them for a while before they picked up on something on the nearby hill. We could not see what they were after but they kept on looking and slowly making their way towards the thick bushes at the foot of the hill. 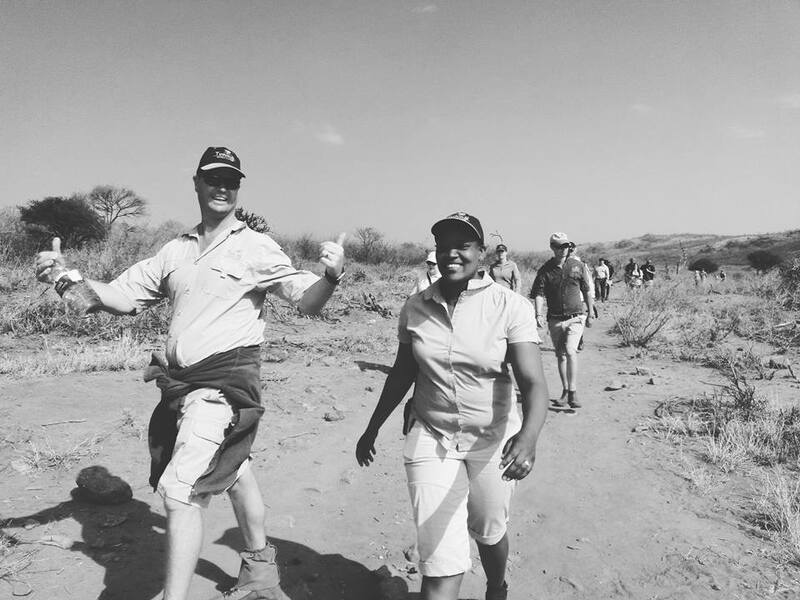 It was only after a kudu gave an alarm bark and a small group of kudus scattered up the hill side that we realised what they were after. The lions lost interest and playfully walked in the other direction before something else caught their attention. 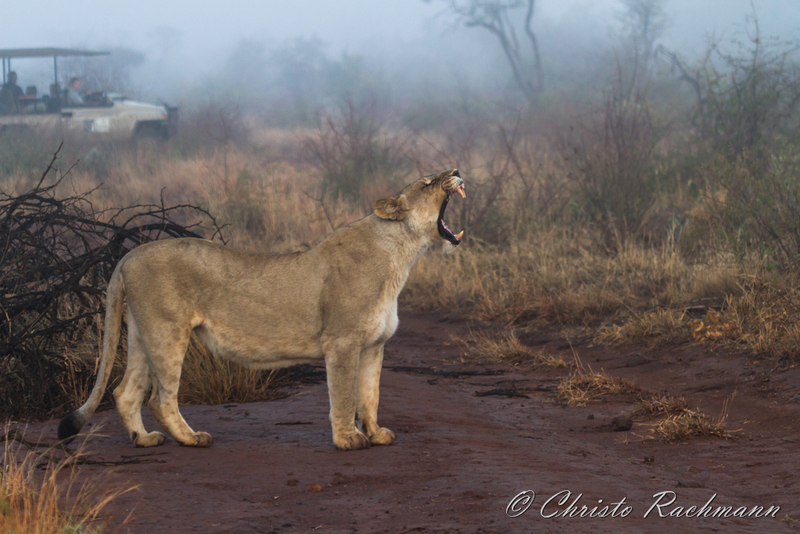 The lions fanned out and in the mist and tall grass we lost track of some of them. 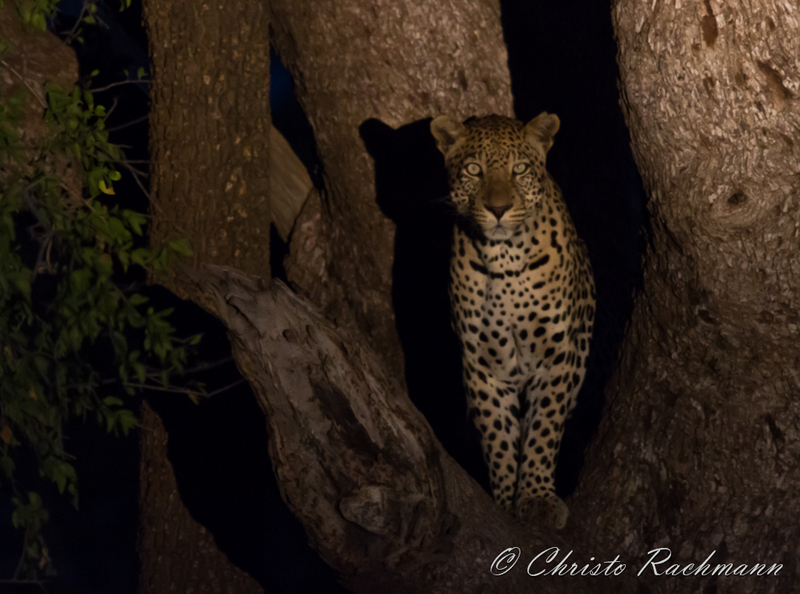 One of the older females stayed behind close to the road as we followed one of the youngsters as she cautiously made a big loop around whatever they were after. 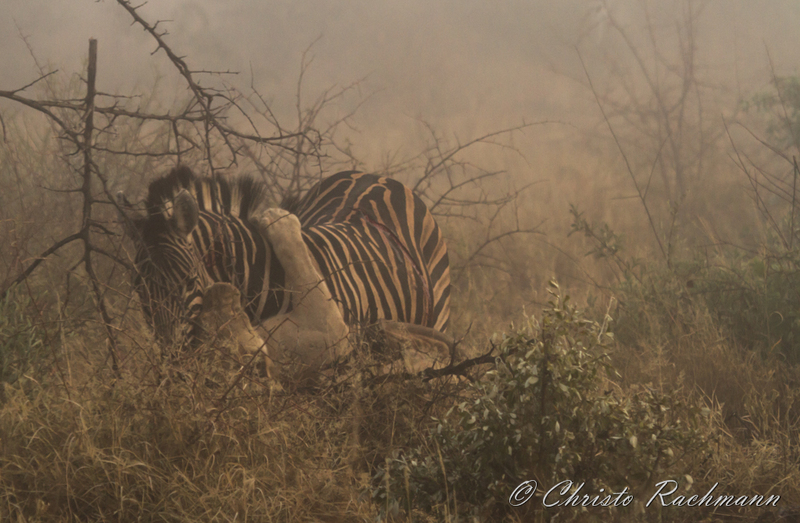 Eventually in the distance we saw some zebra, the cause of their stealthy stalking. 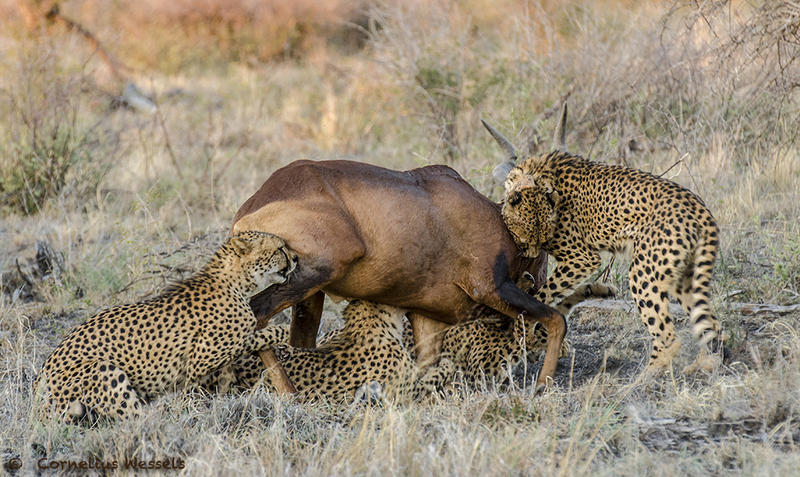 We were still watching the youngster when the zebras burst into a thunderous run, spooked by a lioness we lost track of. 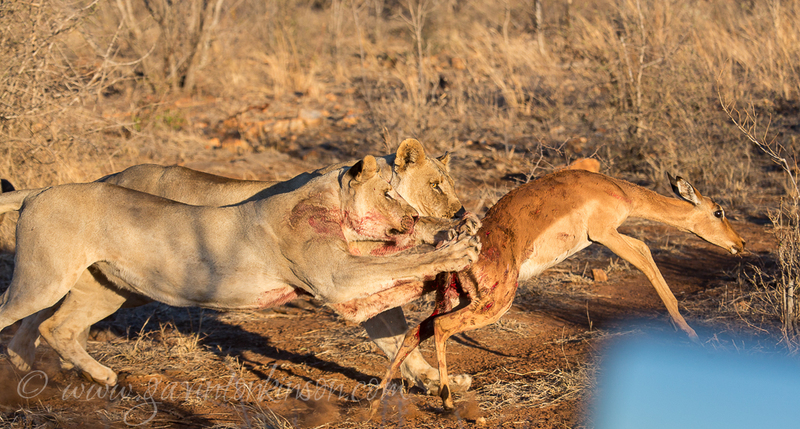 This clever lioness sneaked passed, to behind the zebras before she launched her attack, cleverly knowing the position of the other older female that stayed behind close to the road. 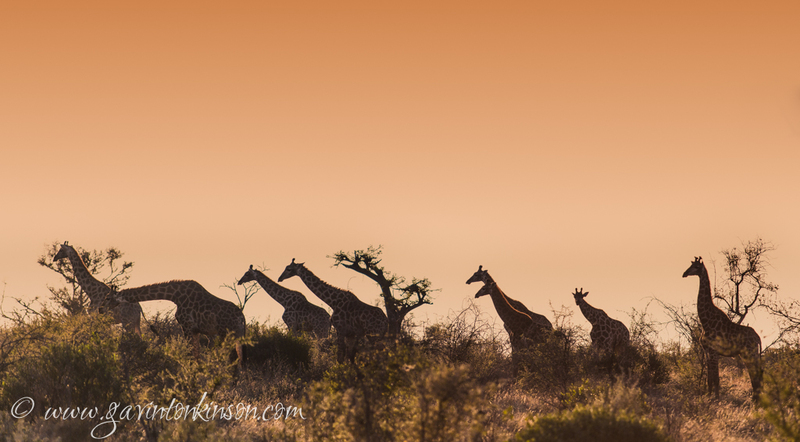 The zebras were oblivious that they were being herded straight towards the other lions. 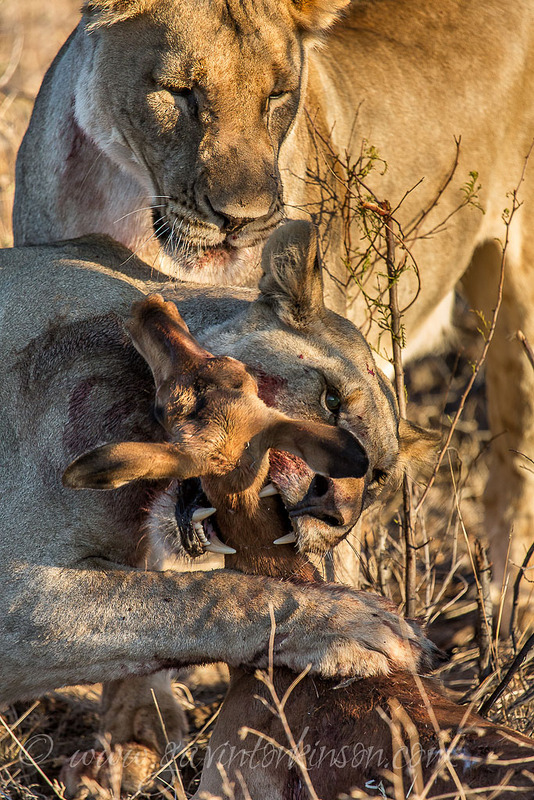 I sprang into actions and hastily made my way towards the lioness close to the road, hoping that the lionesses’ plan had worked. 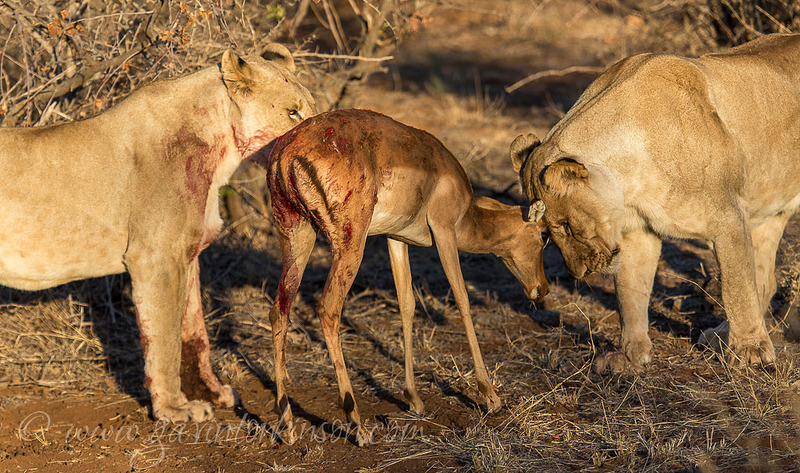 It did, the lions had managed to grab hold of a big mare and were struggling to bring the zebra to ground. 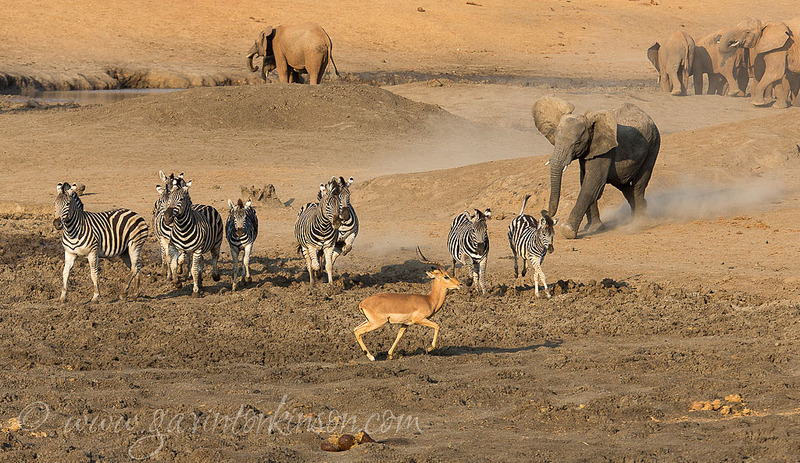 The zebra fighting for dear live stayed on her feet and miraculously managed to spring free from the lions. Running right passed us with the lions in hot pursuit. The zebra did not reach far until one of the big lionesses’ again managed to grab hold and execute a powerful dive on the zebra, which made the zebra execute a sideways summersault. 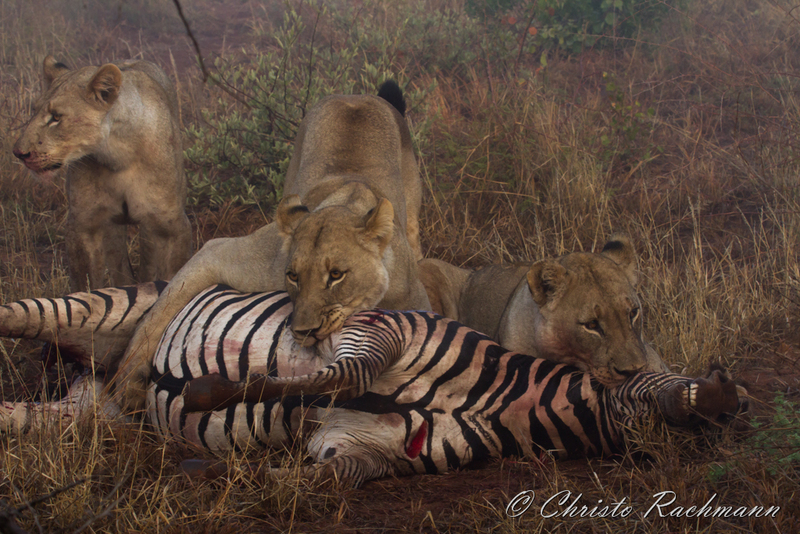 The rest of the pride was quick to pounce and soon the zebra succumbed to the lion’s death grip on the throat. This sighting again left us in awe of nature’s brutal and unforgiving power and would definitely last in our memories for a long time. 3) From rare too just mind boggling. 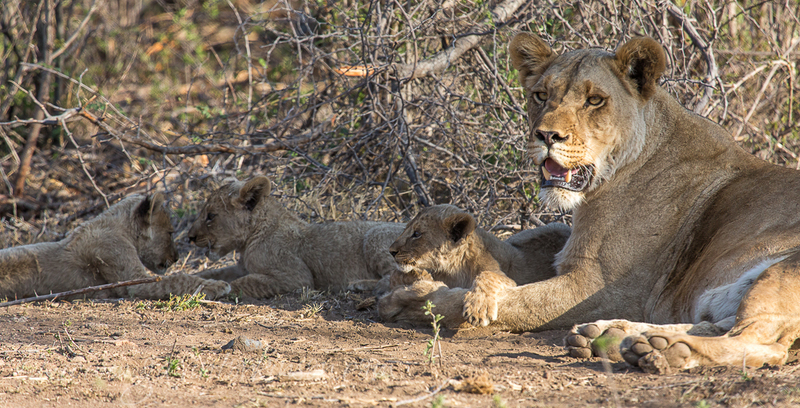 4) Then finally out of nowhere the Maklapas cubs came out and we had some great sightings of her and her fur balls. They are now about ten weeks old and healthy. All 9 puppies are still doing very well, and seems as though they will see 2016 in style !! 1) Lets start off with the best news ever !! The south pack of wild dogs have finally settled down at their den site deep in the Dwarsberg mountains, and showed off their offspring to us for the first time this week. There have been various counts of exactly how many puppies we have seen, but the biggest number has been 12, and there may even be more. 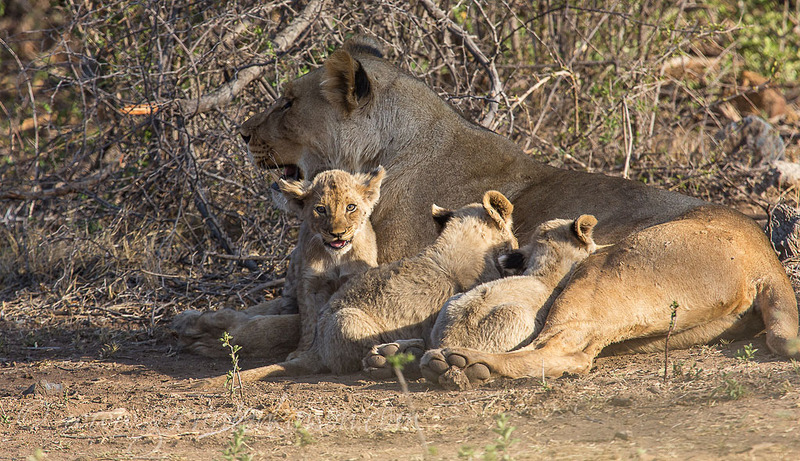 This is super big news and, even got us rangers to spare a tear or two as the adults come back from their hunting escapades to regurgitate meat for the puppies, which are about 4 weeks old now. Once they get fed on both milk from the alpha female as well as fresh meat from the minders, they will be growing very fast in the next few weeks until they are weaned, and then hopefully will all be fit and ready to run with the adults on hunting expeditions in the next couple of months. 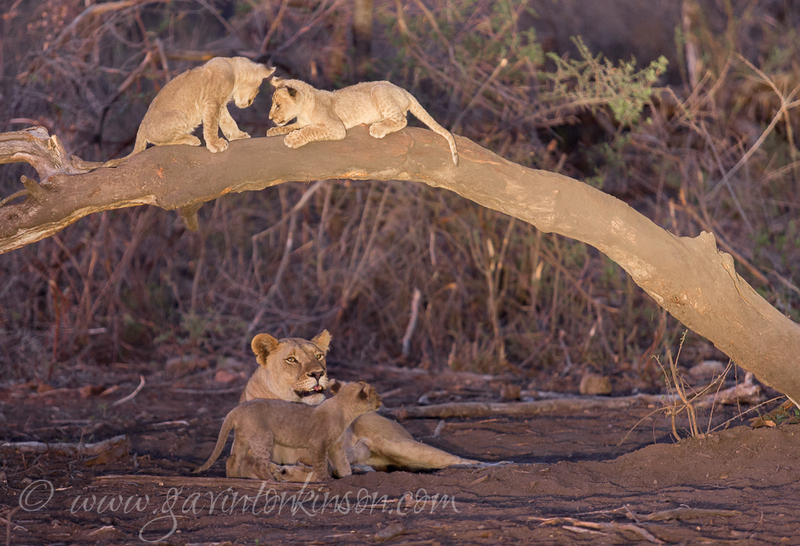 See the video below for our first encounter with the little guys as the adults feed them. 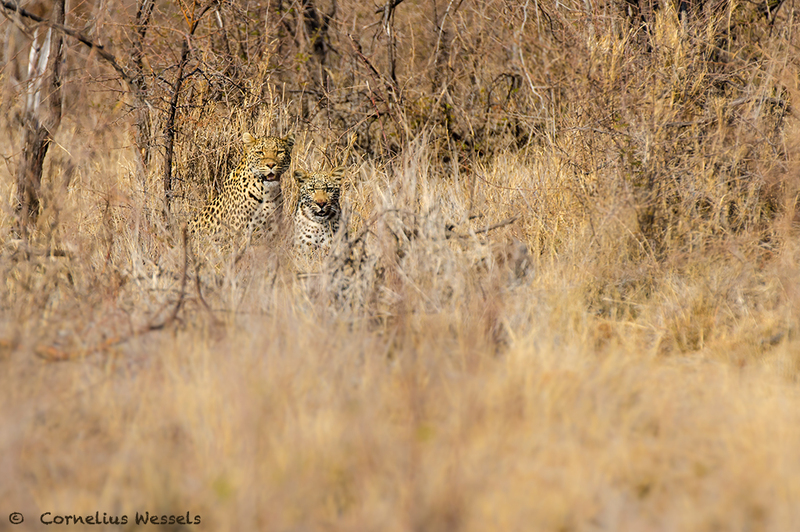 1) The big news if not the biggest news, is that Tsala the female from the south west has two cubs. 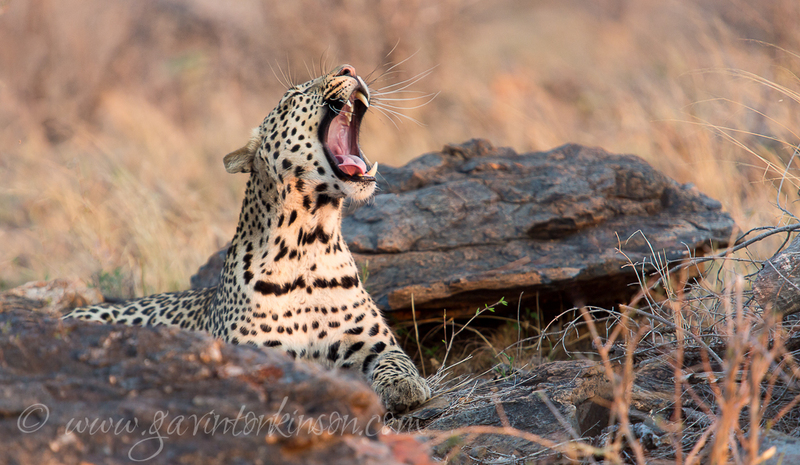 We now see her on a regular basis around the little koppie where she is hiding her cubs and if one is lucky and patient enough, you might even see the cubs playing on the bare rocks on the koppie. 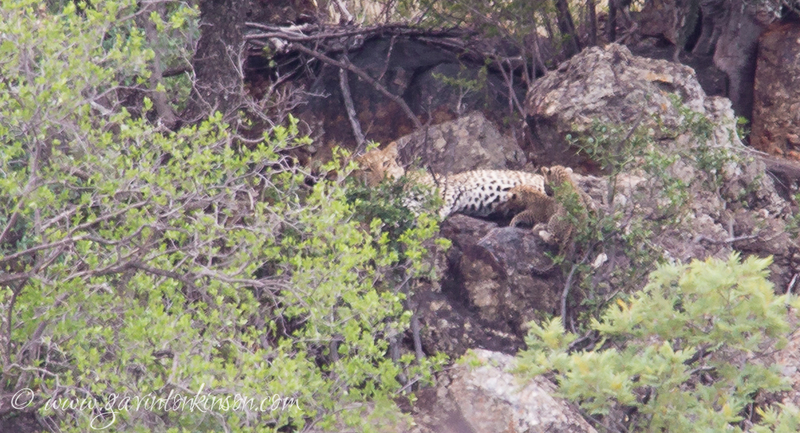 2) Next best news is that we saw the female from Tlou dam with a cub. The cub is about 8 months old and we saw it for the first time. We had no idea where she hid him all this time. 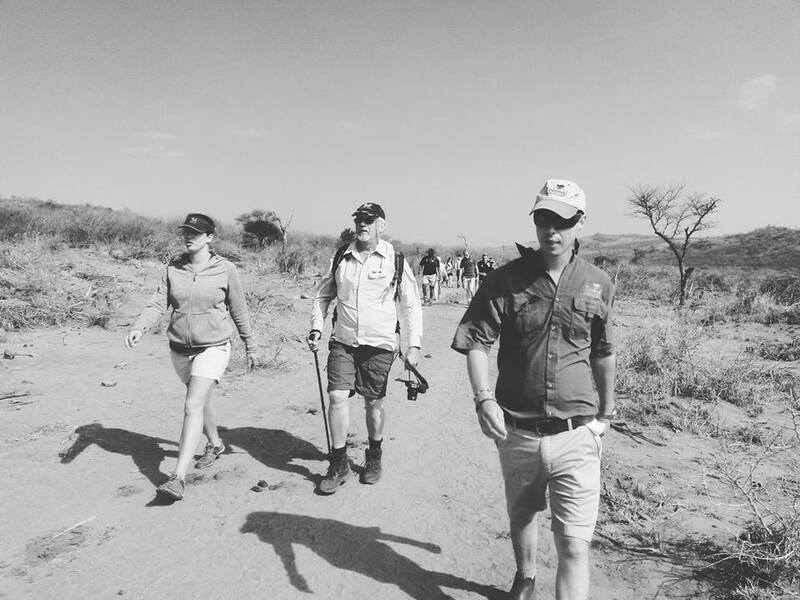 3) One such sighting in particular was one afternoon, when we decided to head into the south-east of the park searching for rhinos and whatever other treasures the bush may hold. 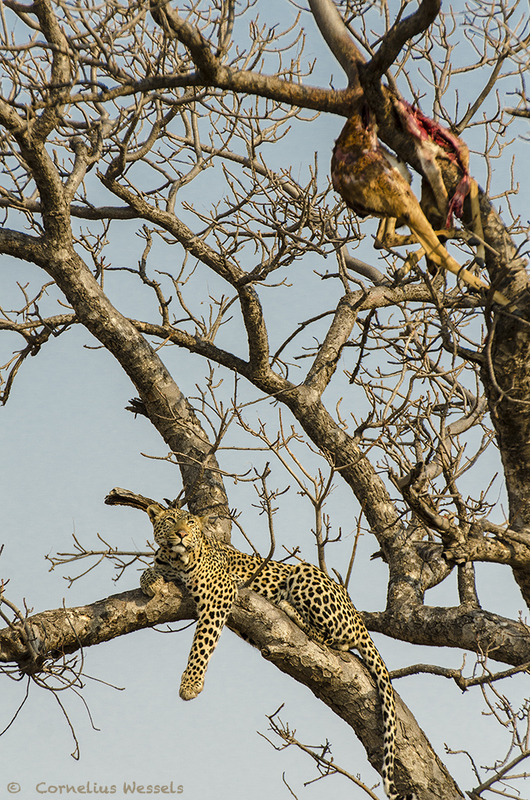 We were not far from the lodge when the call came in that there was a glimpse of a leopard as he jumped out of the tree where it had stashed a kill. 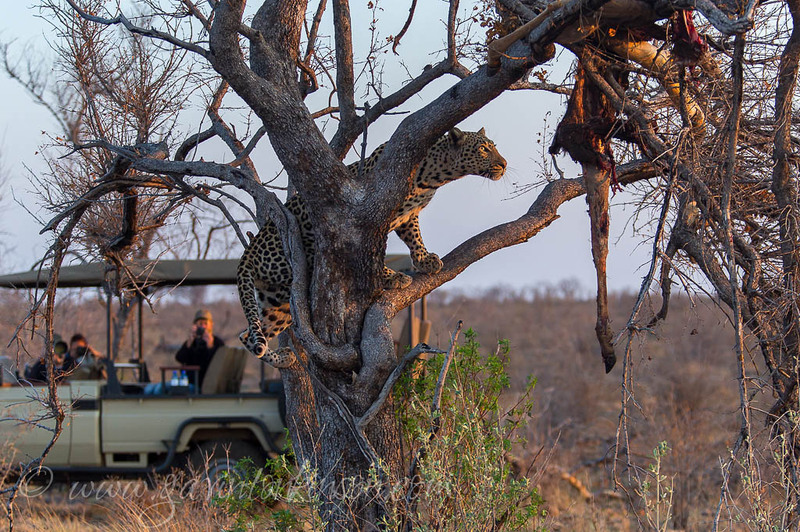 Well great news, but we know how fruitless it can be to go and look for a skittish leopard; basically you have two chances of seeing a skittish leopard, zero and nothing. 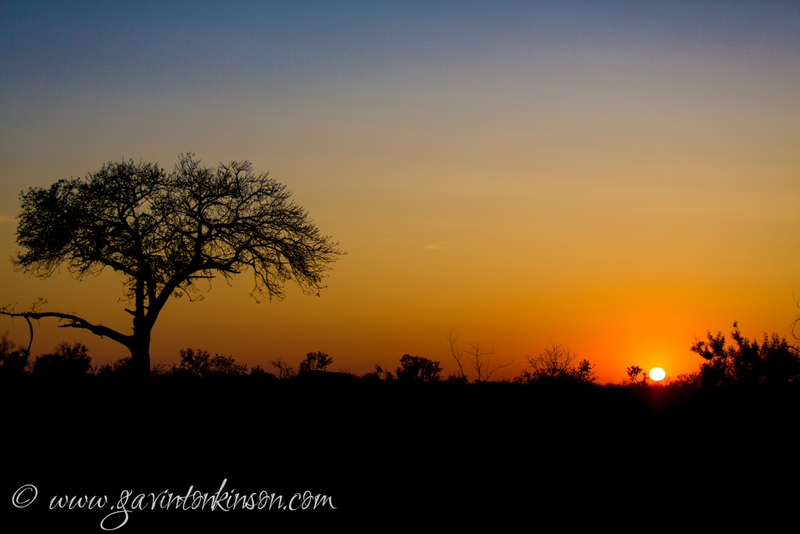 So continuing on our merry way we head of to the east, finding a few good sightings, while listening with half an ear how hopeful guides call into the area where the leopard has been seen, but a while later departing without a leopard sighting. 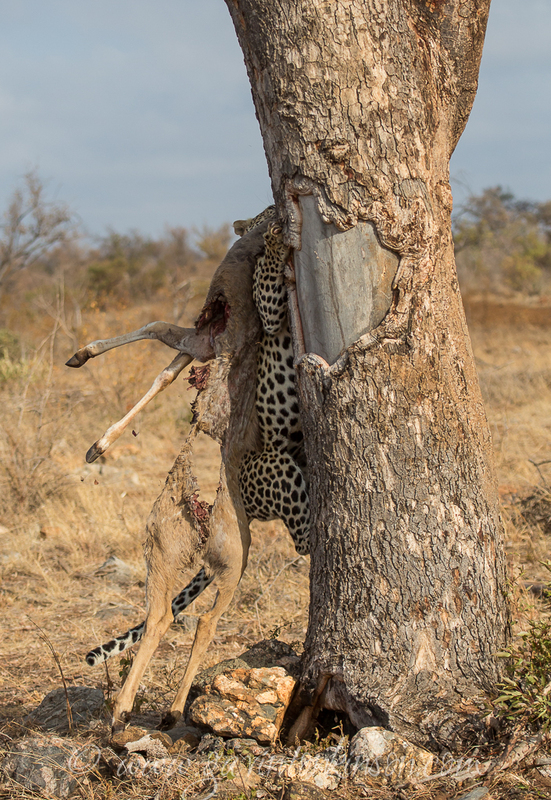 After our sun downers I decide to go past the tree where the kill is stashed, so at least the guests can say they saw a leopard’s kill in a tree. 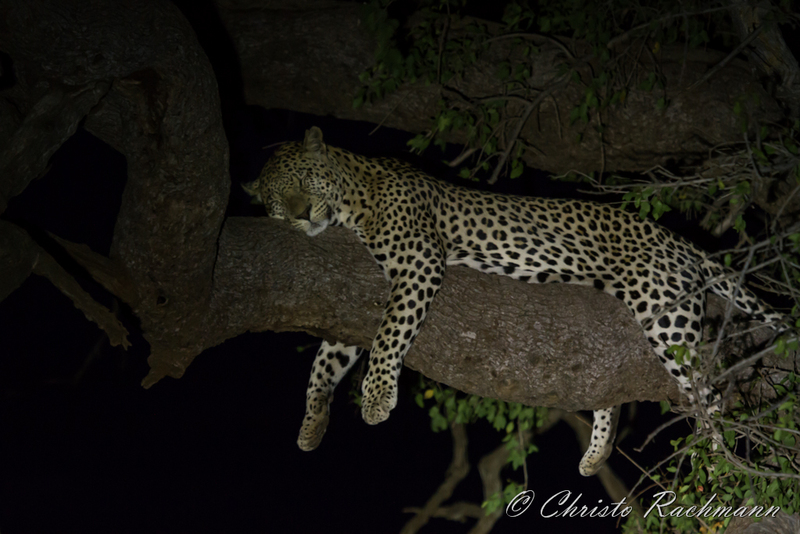 Cornelius had the same idea and we meet up next to a large Leadwood tree where the kill is supposed to be, but the leafy canopy is very thick and one can’t really make out the kill in the glow of the spotlight, so I resort to telling the guests how sneaky and sly a leopard can be and that the chances of seeing this particular leopard is zero due to it not being used to vehic….. O hello. 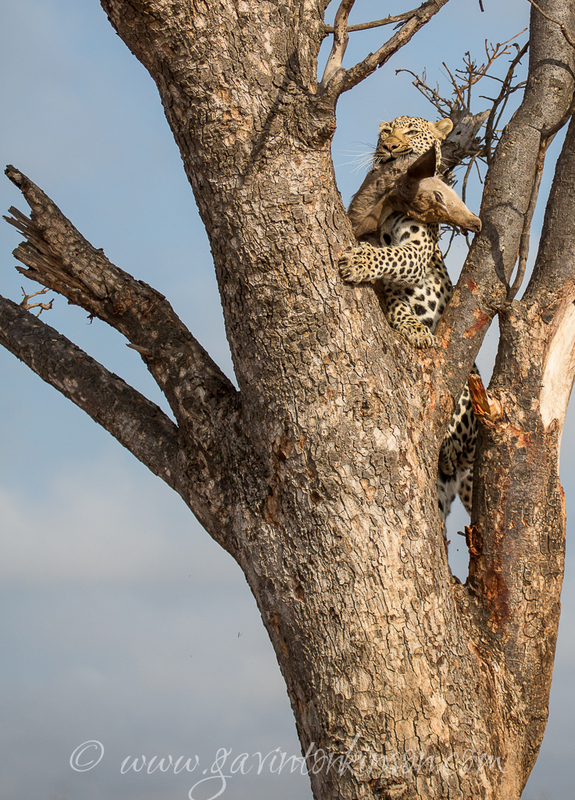 From nowhere a magnificent leopard appears and stands in the fork of the tree with an expression of “what were you saying about me”. My mouth continued the rest of my sentence but no words came out. 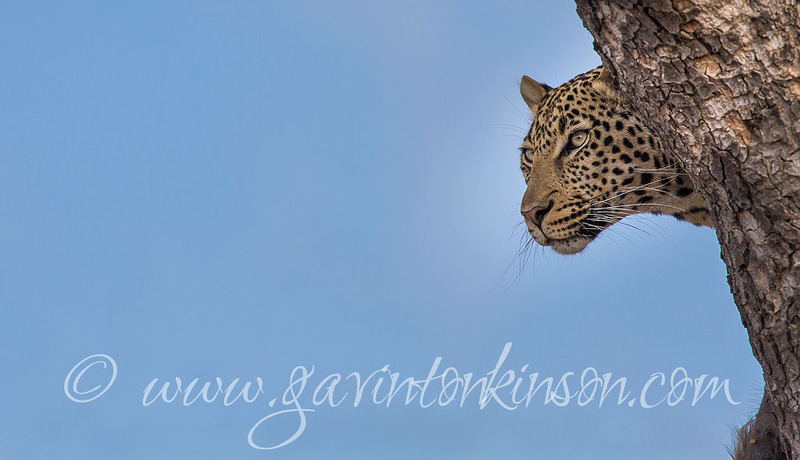 I looked over to Cornelius and was glad to see it was not only my jaw lying on the road next to the game drive vehicle. For a split second I thought of actually taking a picture of Cornelius rather than the leopard, just to catch that stunned expression on his face. 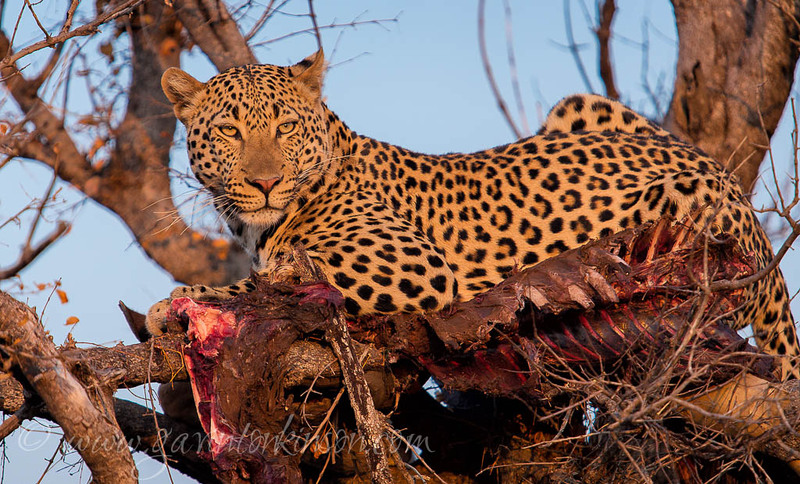 4) Samson, our resident male leopard has been treating us royally this month with a couple of awesome sightings as he killed a kudu and fed on it for 5 full days much to our delight… This made our job as rangers so much easier that week as the leopard is something that we need to spend many hours of hard tracking on. 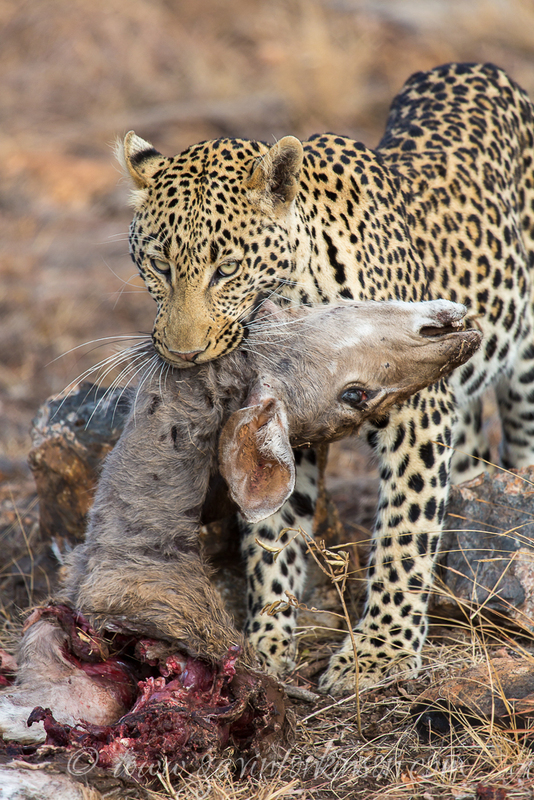 5) Samson on the other hand, is a killing machine, and has had several kills this month, including wildebeest, kudu and impala. He is growing stronger every day, and is starting to fill out into the adolescent skin of his. Once he is confident enough, I am sure he will defeat the big male in the area, and start running his own territory, which he knows so well. 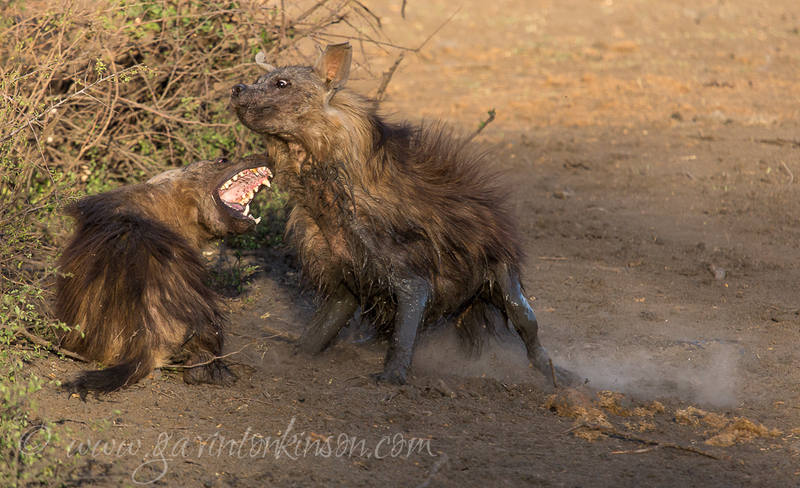 To see an Aardwolf is amazing, and this is what happened…. Additionally there was…or rather still is a sighting that is sending a buzz around the park. 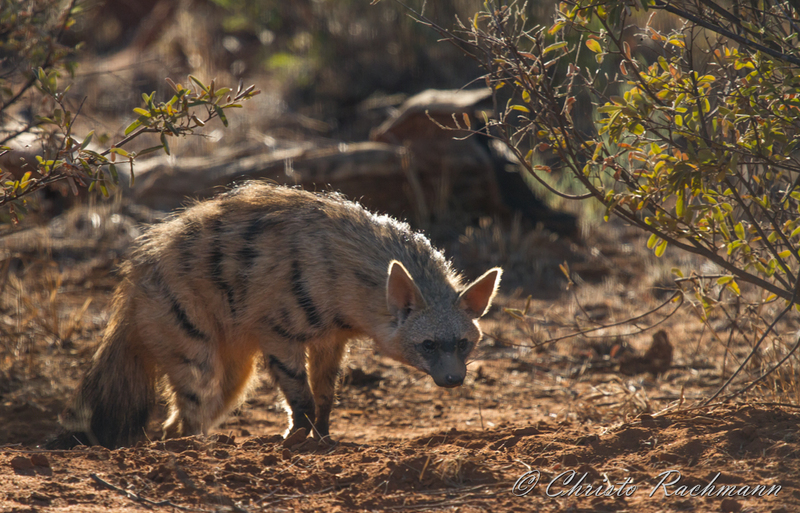 An aardwolf den has been discovered on the northern side of the park and has been giving us some amazing opportunities to view this usually shy nocturnal animals. Even though aardwolf’s are distributed across South Africa not many people get an opportunity to view these fascinating animals. 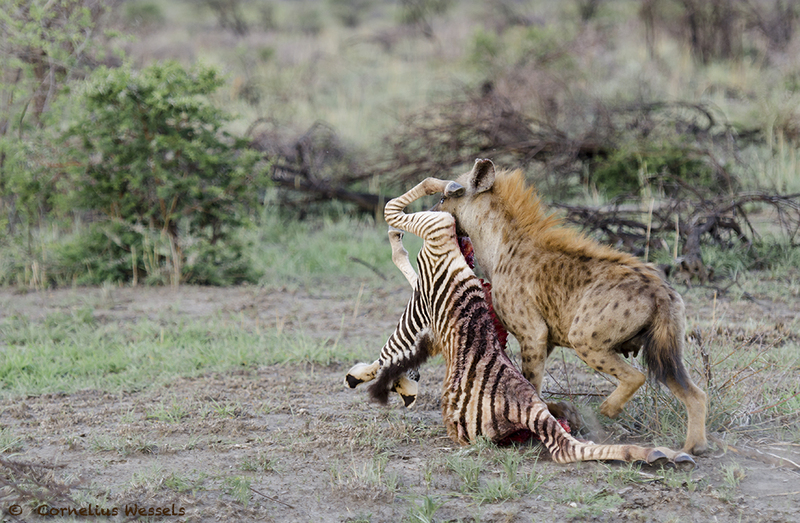 Feeding almost exclusively on termites, as much as 300 000 termites per night, there is still controversy as to whether the aardwolf belongs to the hyena family or a single species family of its own. Most believe that the aardwolf is in fact a very specialized hyena after all, due to some anatomical and behavioural traits. 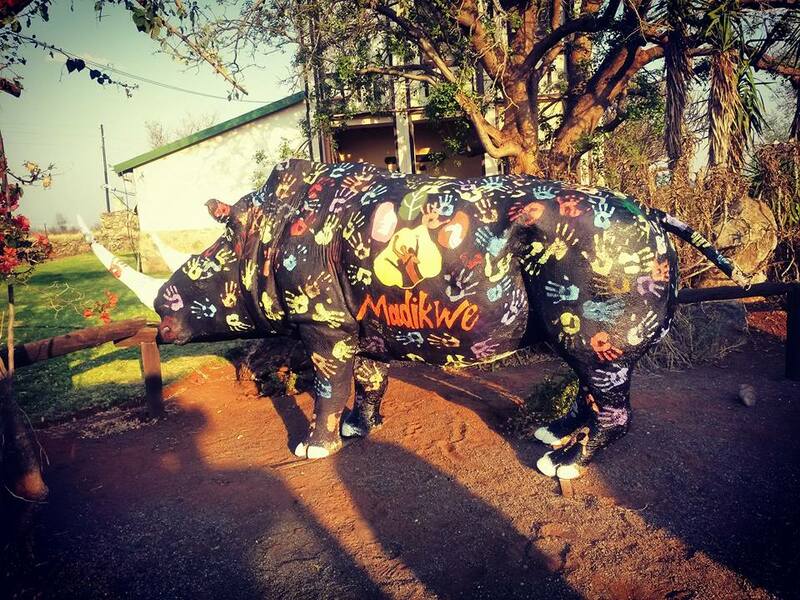 September was also the month to show our support for the rhinos of Africa, as we got involved with the very first “WALK FOR RHINOS” fundraising event held here in Madikwe. 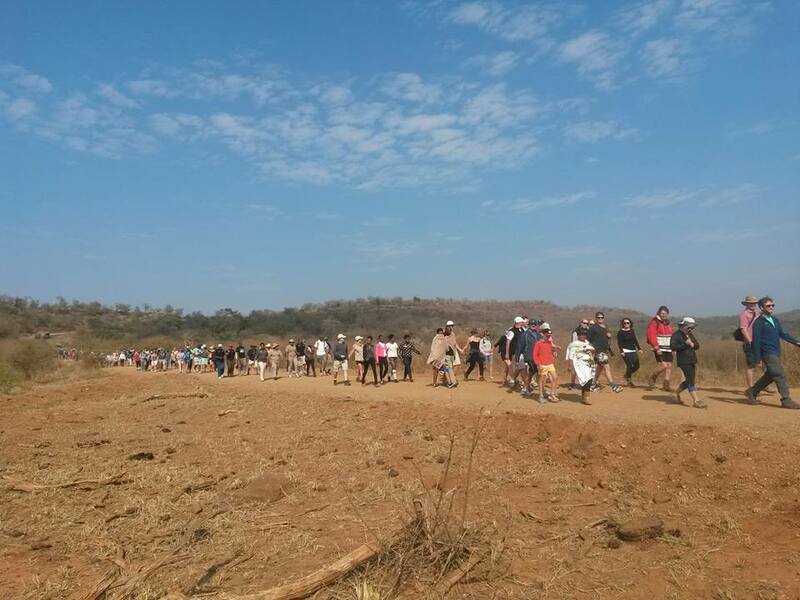 The fun walk was attended by more than 250 people from lodge staff, guests, and sponsors including several radio stations, and many more big companies. 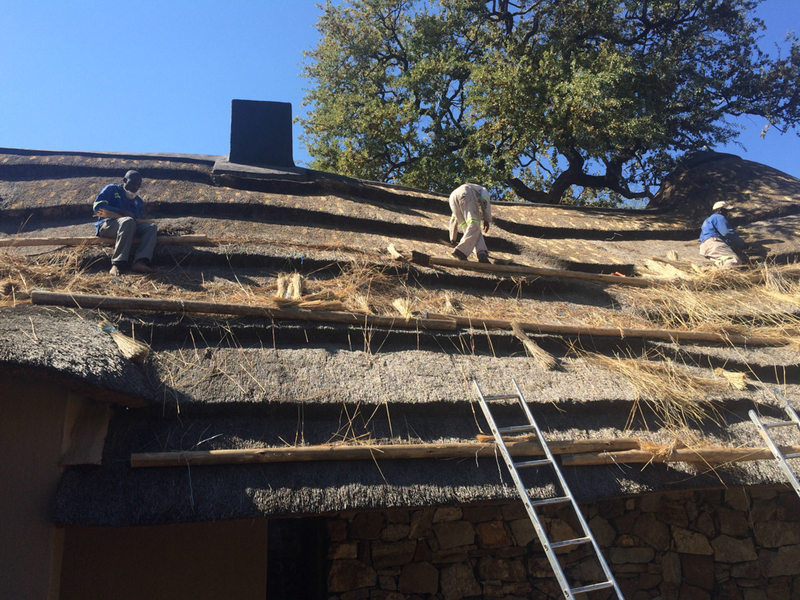 We were closed for a maintenance week where we tackled the arduous job of refurbishing the swimming pool at the main lodge, and combing the thatch roofs throughout the lodge, and giving the kitchen a facelift by tiling out the entire kitchen, as well as oiling all the decks, this all in a week !!! 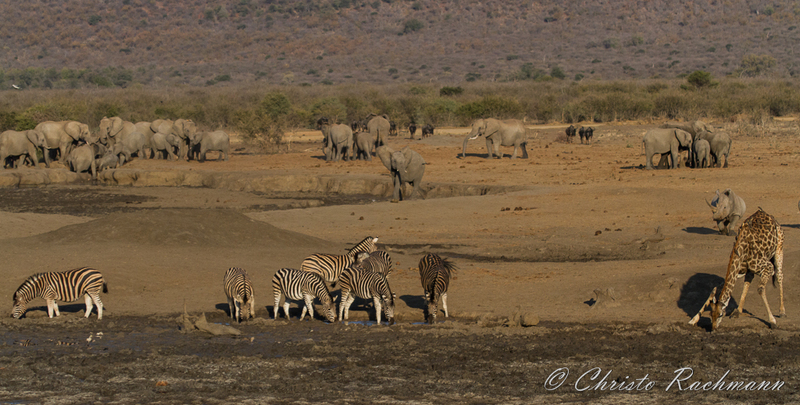 The waterholes in the park have been hectic to say the least, as you can see up to 100 elephants all at once around Tlou dam to the north, and even around the lodge, it has been crazy busy with herds of up to 200 buffalo visiting us frequently, together with all the different species of plains game joining you for lunch as you sip on a crispy cold beer or a tasty G&T…..
Two Brown Hyenas fighting, seeing only one is something in itself but to see these animals interacting like this was almost unheard of.They are solitary animals and we believed this was a territorial dispute. SO…. 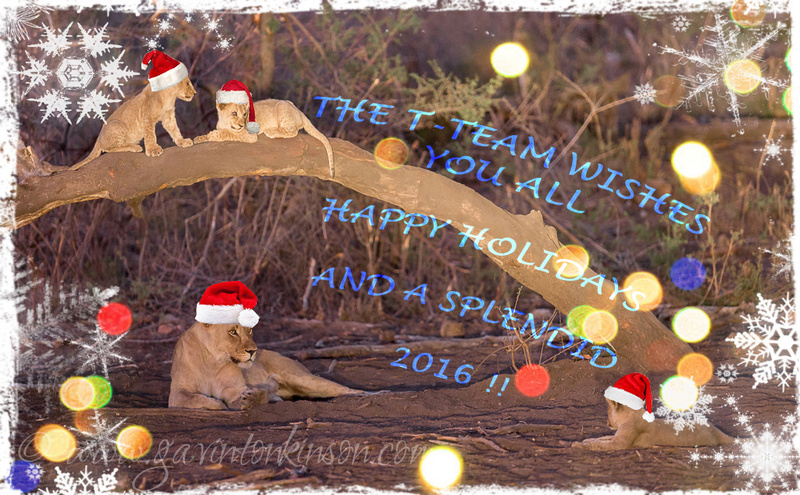 THATS JUST SOME OF THE HIGHLIGHTS WE HAD OUT IN THE SAVANNAHS OF MADIKWE THIS YEAR, AND WE WOULD LIKE TO EXTEND OUR MOST GRATEFUL THANKS TO ALL OUR GUESTS WHO VISITED US THIS YEAR, AND TO OUR RETURN GUESTS WE HAD AN AMZING TIME CATCHING UP WITH ALL OF YOU AGAIN, AND WE HOPE TO SEE YOU ALL IN 2016…….. 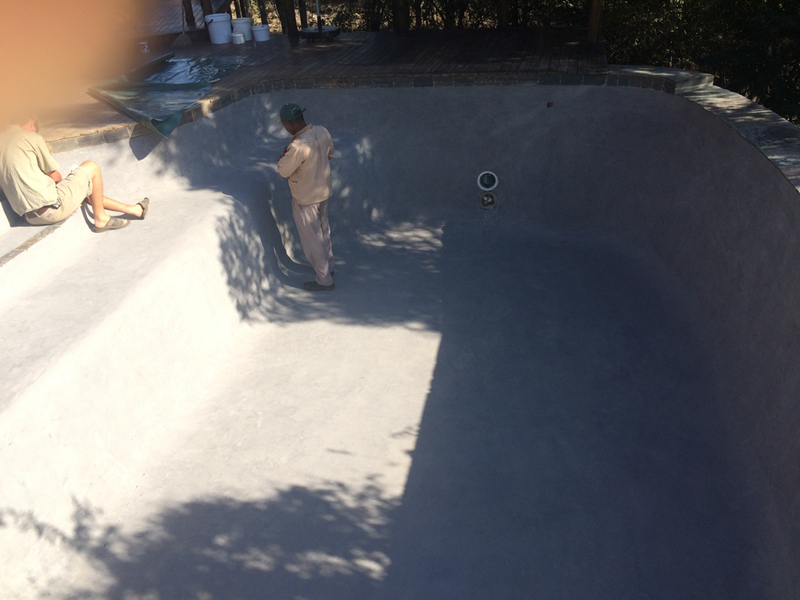 SO THERE IS ONLY ONE MORE THING TO SAY……..